Pittsburgh Marathon, Here I Come! 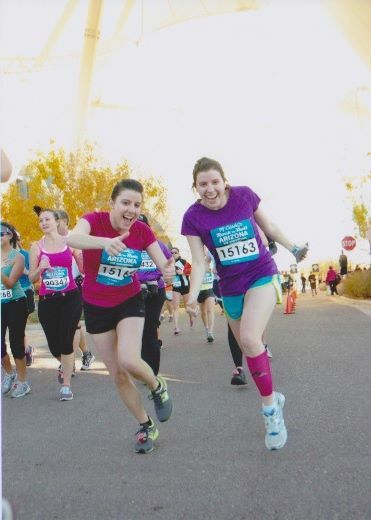 Posted on December 9, 2013 by Sarah S.
I’m ready to take on my second full (that’s 26.2 miles!) marathon…or at least I will be ready by May 4th. This time I’m sticking local (for my first marathon, I made the haul up to to Duluth, Minnesota) and running in the Pittsburgh Marathon. Probably the most exciting thing is that my little sister will be joining me as well as some awesome coworkers. Only one thing is better than running alone. And that’s running with friends. Here we go! This entry was posted in Running, Cycling, Triathlon and tagged adventure, marathon, pittsburgh, pittsburgh marathon, running. Bookmark the permalink.